Nancy's Nook : When plans change . . .
. . . you can make lemonade. Something like that. This week Pat, Molly and I were going to visit Aunt Martha in Oklahoma. We were planning a fun road trip. Well, ice nixed that. Ah, but I got some me-time and then some Mother-time, so it worked out not too badly. (Though I look forward to doing a rain check -or ice check - on that trip.) Right now I'm at my mom's. We just finished breakfast which included a good talk . . . about almost everything. Leave it to us and the problems of the world would be solved. Speaking of guilt, this Saturday at 5 o'clock at Zero Church Sam is talking about how to not be manipulated by guilt from others. It should be REALLY good. Click HERE for the website. If you watch the little video you'll notice we did "Long Train Running" by the Doobie Brothers last Sat. This Saturday we're doing Tom Petty's "I Won't Back Down". Sophie's singing it. It should be good. Oh boo, I have a sister-commitment on Saturday, otherwise I would totally be there. That's one talk I need to hear, for sure! Enjoy your ME-time. I had great ME-time yesterday... it was oh-so relaxing and so pleasant. I love unexpected holidays. 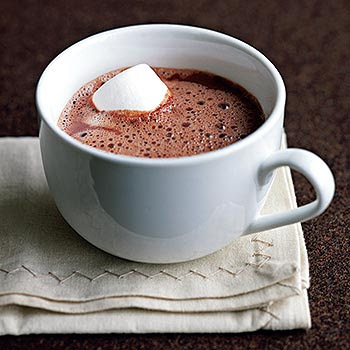 Ooooohhh, I want a cup of cocoa! I think i'll go downstairs and make myself one. Besides, it's still cold in the house, since our heater died last night -- was a nippy 50 degrees in the house when I got up this morning. The repairman came already and got the emergency heater running (didn't know it was broken either) so it's slowly warming up. It's always something. Breakfast with your mother sounded so nice. You are so blessed to have your sweet mom. Enjoy your "me time" -- nobody deserves it more than you.